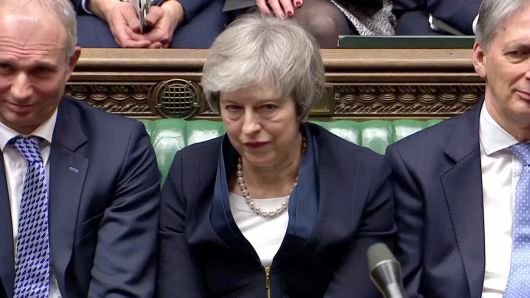 In general news, Theresa May’s BREXIT plan failed in the worst defeat in Parliament in over 100-years. In the U.S., Nancy Pelosi is still playing chicken with President Trump, keeping the government shut down. She even cancelled the State of the Union speech to avoid the embarrassment of sitting behind Trump. In politics, BuzzFeed, the propaganda outlet for the Democrats, floated a fake news story about Trump committing a crime worthy of impeachment, which prompted a rare statement from Mueller’s office refuting the story. In healthcare business news, CVS and Walmart partnered. Also, an article in JAMA supported the common sense notion that drug marketing efforts on doctors do increase the prescription rate for opioids. On the data front, Eli-Lilly’s (LLY) sarcoma trial for Lartruvo failed. Also, Tyme’s (TYME) drug SM-88 failed in pancreatic cancer.